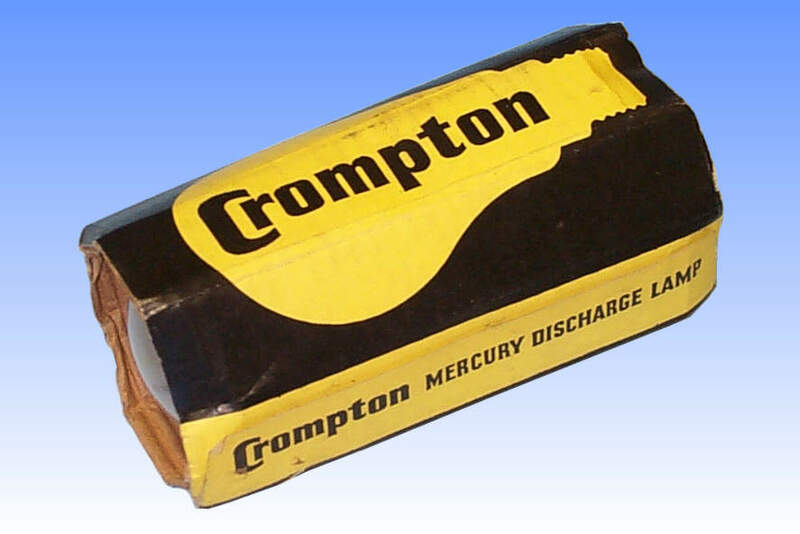 Crompton is traditionally thought of solely as an incandescent lamp manufacturer, but the company was actually quite innovative in both mercury and fluorescent lamp production in the 1950's and 1960's. Although the company made its own arc tubes and in fact the whole lamp for the hard glass MA products, it did not engage in the production of quartz arc tubes for the later MB style. It is believed that the arc tube in this lamp was sourced from Mazda, and sealed into the outer envelope at Crompton's works. 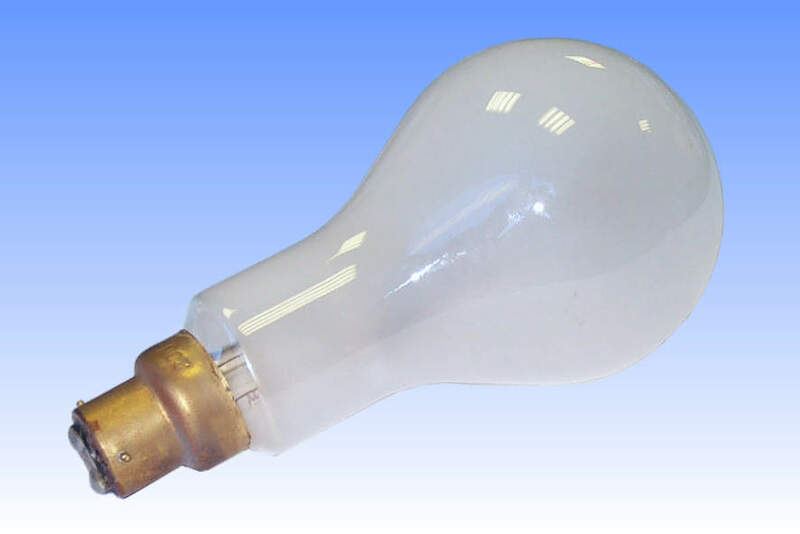 Crompton was a very successful player in the production of MA lamps owing to its uniquely simple design which did not require the outer bulb to be sealed and gas-filled. As a small manufacturer this cost saving allowed it to compete well against the major lighting firms. However this same design could not be applied to MB lamps for several reasons. 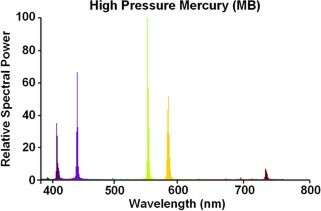 Most significantly, the molybdenum foil seals in the quartz MB style arc tube are quite sensitive to oxidation, and the arctube therefore has to be run inside an inert atmosphere - carbon dioxide in these early lamps, and later nitrogen. Owing to the expense of having to buy in the new quartz arc tubes from a competitor, Crompton lost its stronghold of the mercury lamp market as the MB series gradually took over, and once the MA lamp had been rendered obsolete the company exited the discharge lamp production business. Alternatively it sourced in finished lamps in under its own name, as it continues to do so today. Precise dating of this lamp is difficult owing to the 2-year date code cycle employed on Crompton lamps. The pinched arc tube seals date it as post 1950 though.